A8661 Peacock from our newest colorbooks! The saying, "One man’s trash is another man’s treasure" calls to me. From thrift shopping to finding the deal of the decade, I love a good deal! Driving down the highway one day in North Carolina going to get some BBQ, my friend and I saw furniture sitting outside of a broken down gas station. We spotted a man's old chair that had been abandoned and needed some love. It was ancient, heavy, and you could tell that the elements had taken a toll on it. I immediately fell in love. We heaved it into my car and decided to give it a makeover. Once brought back to the warehouse, someone discovered that it had a pocket knife hidden in the seat. I thought it was just a little rough around the edges, but to everyone else it became known as “the death chair.” The great thing about being in the fabric business with wonderful re-upholsterers is that their products never die, they always recover. 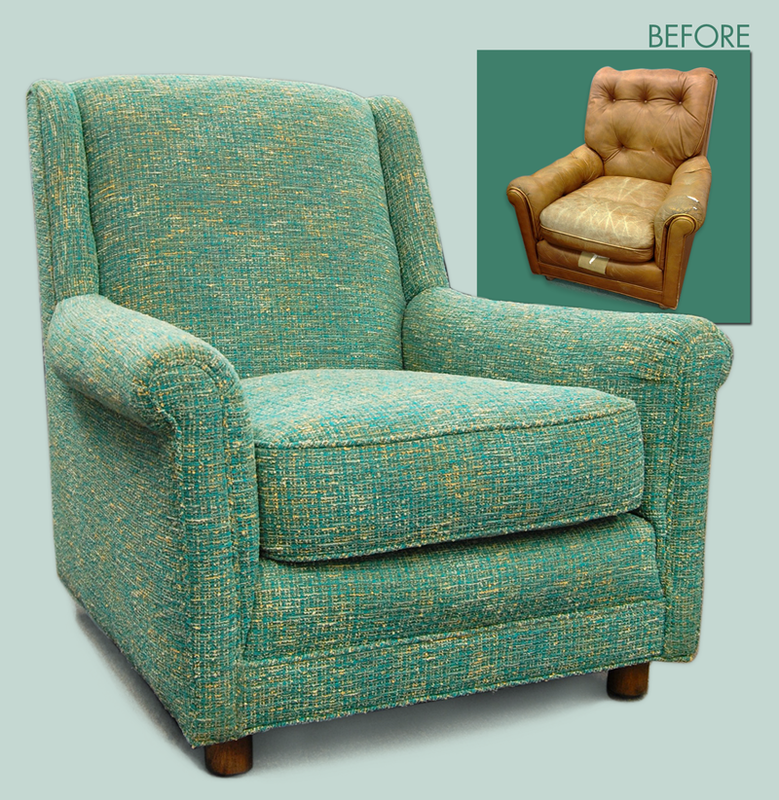 This is exactly what our amazing re-upholsterer did to it. He turned it into a beautiful and feminine turquoise blue chair. She is now going to be showcased as a stunning center piece.